Dutch designers are looking to improve the digital DJ experience by integrating the touch and feel of conventional DJ hardware. Since bedroom-DJs are ditching their audio gear by the dozen in favour of the small form-factor and multi-functionality of tablets, Verburg and Tweetonig felt the need to adapt tablets for the pro-jockeys of yesteryear and try to give them the real DJ experience in the digital age. Tuna Knobs are small dials that attach to touchscreens and act as a radial stylus. 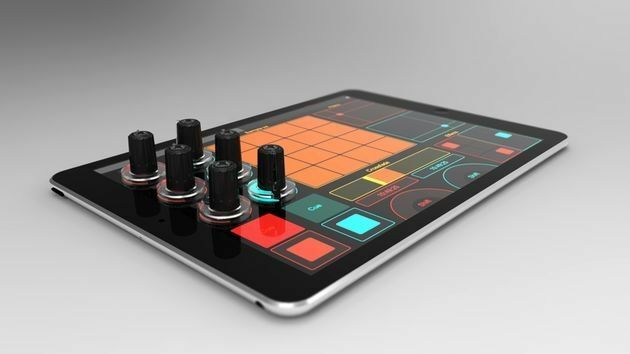 They are designed to give the tactile precision and authentic feel of twisting a knob and let you control DJ and music making apps from your tablet. "I have always loved making music and DJ'ing, but I was always bound to my gear at home," says Verburg, an industrial design student at the Technical University in Delft. "But playing around with apps like TouchOSC and Korg iElectribe I felt something was missing. I wanted more precise control. I wanted knobs. So that's the idea I pitched for Tweetonig and they loved it." Tweetonig's audio innovation is a mere prototype for now, but if you're as desperate for knobs as Verburg, you can support the team on Kickstarter to see them go to production.